Closure for Training: To enable the doctors and staff to keep up to date the practice will be closed for staff training from 12.30pm to 4:00pm on Wednesday 1st May 2019, Wednesday 4th September 2019 and Wednesday 11th December 2019. Closures for Bank Holidays 2019: 1st January, 19th April, 22nd April, 6th May, 27th May, 26th August, 25 & 26th December. Patient Group: We are looking for additional patients who may be interested in joining the practice patient group. Follow the link "Have your say" for further information. Most long term conditions e.g. high blood pressure and heart disease are managed in the context of routine surgeries. Most patients with these conditions are on repeat medication. Your repeat prescription details will include a medication review date. When you attend for a medication review the overall management of your long term conditions will be assessed in addition to reviewing your medication. The practice nurses primarily deal with oral (tablet) contraceptive care but doctors can assist when nursing appointments are not available. All our doctors provide contraceptive care by individual appointment. Dr Thomas & Dr Prabhu fit contraceptive implants and coils. The practice undertakes immunisation for travel abroad. We are an approved Yellow Fever Centre. Please enquire at reception six to eight weeks before departure. For further details see the travel vaccinations page on our website. The practice offers a joint injection clinic. This means that you may not have to go to hospital for some special injections, as Dr Gent performs soft tissue/joint injections. 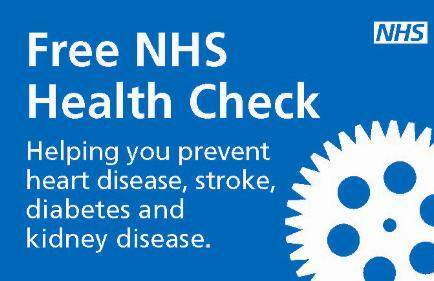 There is no specific NHS well person check programme. However, the practice clinical team will be happy to discuss general health concerns and offer blood pressure checks together with advice on lifestyle issues, e.g. alcohol consumption, smoking, diet and exercise. The practice does not run dedicated "well woman" clinics as there is no evidence base that these are effective at detecting or preventing health related problems in women. If you have any specific concerns, then please consult with one of the doctors. The practice offers NHS Health checks which are focused primarily on preventing vascular/heart disease, but also screen for diabetes and kidney disease. You will be invited for an NHS Health Check every five years if you are between 40 and 74 years old, as long as you don't have an existing vascular condition. These checks are performed by the Health Care Assistants and assess the risk factors likely to provoke coronary disease. After the health check you will receive a written summary of the findings and recommendations on lifestyle measures aimed at preventing problems emerging in the future. All patients with diabetes are entered into the practice diabetic care programme and, as part of this, are offered a comprehensive annual review. This comprises an initial appointment with a Health Care Assistant for blood tests, urine checks, blood pressure and weight recording. After this they are seen by a practice nurse who offers preventative advice and education input and finally by a GP who reviews their overall diabetic control and offers advice about optimisation of treatment. All patients with asthma or Chronic Obstructive Pulmonary Disease (COPD) are offered an annual nurse-led evaluation of their condition together with advice re-optimisation of their treatment. Cervical smears are performed by the practice nurses. The results of cervical smears are sent directly to patients by the Lincolnshire Cervical Screening service. For further information about the interpretation of results click onto results of cervical screening. For details of how the cervical screeening programme is coordinated in Lincolnshire click here. Please visit the NHS Cervical Screening website for further information. and shingles is offered in accordance with NHS guidance. The midwives hold antenatal clinics on alternate weeks at Ancaster and Caythorpe. Baby clinics are held by our attached Health Visiting service. Ancaster - third Wednesday of the month from 1.30pm-3.30pm. Caythorpe - third Thursday of the month from 1.30pm-3.30pm. Please note these are not drop in clinics. Please make an appointment to see the Health Visitor by contacting 01529 306089. The practice encourages screening for chlamydia - if you have any concerns, please make an appointment with one of the practice nurses. For further details about local chlamydia screening services in Lincolnshire click here. The practice offers the full range of vaccinations recommended by the NHS. For further details of the current vaccination schedule please click here. The practice nurses will be pleased to discucss any aspect of the vaccination programme with you. To help us offer the appropriate advice, please fill out the online form and return it to the Receptionist, BEFORE making an appointment to see the nurse. Some travel vaccinations are available on the NHS, whereas others are not. These vaccines are usually free because they protect against diseases thought to represent the greatest risk to public health if they were brought into the country. Yellow fever vaccines are only available from designated centres. Ancaster surgery is a designated yellow fever vaccination centre. The NaTHNaC website can help you find other locations where you may get a yellow fever vaccination. The cost of travel vaccines at private clinics will vary. We will be able to cost your immunisations on an individual basis, after your first travel appointment with the practice nurse. It's worth considering this when budgeting for your trip. If you are planning to travel abroad please make an appointment with one of the practice nurses at least eight weeks in advance and the nurse will be pleased to discuss any aspect of the vaccination programme with you. There is further information about countries and vaccinations required on the links below: This is a general guide but advice may be updated from month to month. If you sustain a minor injury such as a burn, scald, minor cuts that may need stitching or a minor head injury, there is a walk in centre at Sleaford Medical Group (47 Boston Road, Sleaford, Tel. 01529 303301). The clinic is open 8:30am - 8:00pm Monday to Friday. The injury must have happened within 48 hours prior to attending. If you had a minor injury in the previous 48 hours, please book in at reception. The length of your wait will depend on the seriousness of your condition, but there may also be a wait depending on the availability of the nurse – the nurses have pre-booked clinics they must also attend to, but can prioritise urgent cases. Sleaford Medical Group provide an urgent care service at weekends and Bank Holidays. In addition we will be extending our Minor Injuries Unit hours to 8.00pm Monday - Friday and 6.00pm on Saturdays, Sundays and bank holidays. The Urgent Care Unit is based at the Sleaford Medical Group Riverside Surgery (47 Boston Road, Sleaford, Tel. 01529 303301). The Unit, run by a team of experienced nurses and GPs will be available 7 days a week but will be closed on Christmas Day, Boxing Day and Easter Sunday. On arrival, patients will be assessed and the injury treated by a trained nurse or doctor as appropriate, however in some cases it may be necessary to refer patients on to further treatment at a hospital. However, they cannot provide care for serious injuries, major accidents, severe chest pains, serious breathing problems, severe pain of any description (e.g. likely appendicitis), road traffic accidents, anaphylactic reactions or collapse. The service is available to patients whether or not they are registered with a GP, and can provide care for those not living in Sleaford or the surrounding area. The unit can care for patients attending with both minor illnesses and injuries and is a walk in service. The patients’ own GP will receive a summary of the care received following the consultation so their notes can be updated accordingly. Any patient who cannot be treated will be referred as appropriate. Screening is a way of identifying apparently healthy people who may have an increased risk of a particular condition. The NHS offers a range of screening tests to different sections of the population. The aim is to offer screening to the people who are most likely to benefit from it. For example, some screening tests are only offered to newborn babies, others such as breast screening and abdominal aortic aneurysm screening are only offered to older people. The practice offers the full range of screening tests which are approved by the NHS. Some of these are organised directly by the practice while many others, e.g. aortic aneurysm and bowel cancer screening are organised indirectly through the wider NHS using the practice data base of registered patients. For more detailed information about the range of screening tests approved and supported by the NHS please click here. Bowel screening is offered to men and women between the ages of 60 and 74. Men are screened in the year in which they reach 65 years of age. If this is negative then no further routine screening is considered necessary. Women who are registered with a GP in Lincolnshire are automatically invited for screening between the age of 25 and 64. At present women aged between 50-70 are screened. In the near future this will be extended to women aged between 47-73. Lincolnshire diabetic retinopathy screening information is available by following this link. This is a national programme run through the Health Protection Agency. It seeks to opportunistically screen sexually active 15-24 year olds for chlamydia. Chlamydia is a sexually transmitted infection that often has no symptoms; it can affect all those sexually active, but is more prevalent in the 15-24 year olds age group. Chlamydia is serious, it can cause fertility issues in both men and women and is easily spreadable. There are more than 420 screening sites across the county. For more information about chlamydia please follow this link, or call our chlamydia screening team on 07879 630619. Our receptionists are trained to signpost you to the most appropriate clinician to maximise the overall appointments available to you.